COMPLETELY REMODELED! CONVENIENTLY LOCATED IN JUPITER FARMS NEAR INDIANTOWN RD. ON A PAVED ROAD. 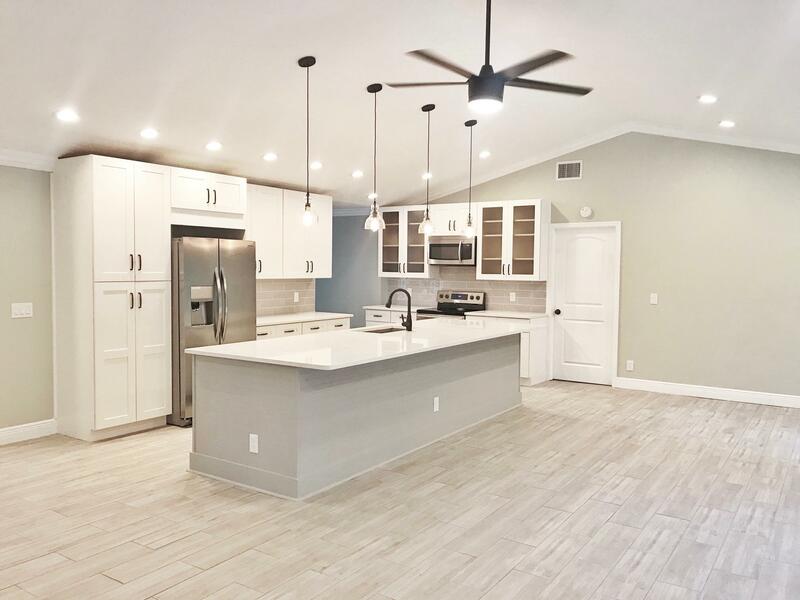 10 MINUTES TO i95 AND TURNPIKE, RECENT RENOVATIONS INCLUDE: BRAND NEW KITCHEN FEATURING SOLID WOOD SHAKER CABINETS, WHITE QUARTZ COUNTERTOPS AND STAINLESS STEEL APPLIANCES. BOTH BATHROOMS FEATURE NEW SHOWER TILE, VANITIES/TOILETS. NEW WOOD PLANK TILE AND CARPET FLOORING, FLESHLY PAINTED INSIDE/OUT. BRAND NEW 4 TON A/C SYSTEM ANDWATER FILTRATION SYSTEM. NEW WATER HEATER.WOOD BURNING FIRE PLACE FEATURES NEW STACKED STONE. NEW HURRICANE RATED GARAGE DOOR. METAL ROOF. SITS ON A 1.09 ACRE LOT.NO HOA. THIS HOME IS A MUST SEE! !